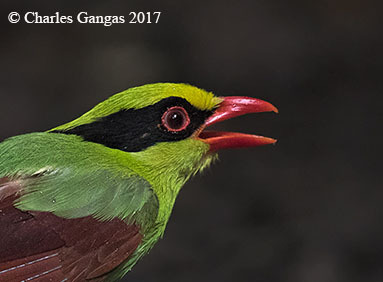 Photo Tour: This tour focuses on photographing the birds of Thailand as well as whales, elephants and other wildlife. We will spend 6 nights at the premier bird photography lodge in Thailand which is near Keang Krachan National Park. There are blinds on the property and several other sets of blinds outside the property which attract a large variety of birds which can be photographed at close range. 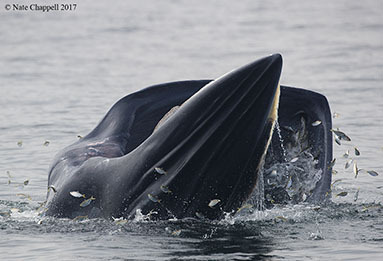 We will have 2 full days photographing Bryde's Whales and seabirds in the Gulf of Thaiand as well as 2 afternoons of elephant and large mammal safari at Kuiburi National Park. Tour Leader: Charles and Jerrine Gangas. Chuck is a full time nature photographer based out of Stowe, Vermont who has traveled extensively throughout Southeast Asia. 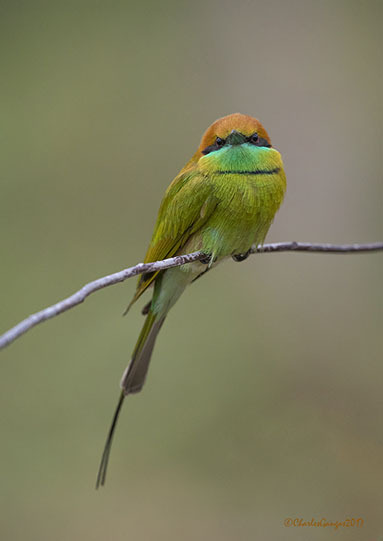 His images have been used by the popular IBird Pro app. He is known for his sense of humor and enthusiasm. Jerrine loves working with non photographer spouses. We will also be working with the local guides who have co led all of our previous Thailand photo tours. Number of Participants: Maximum of 6 photographers with a maximum of 10 total participants (including nonphotographer spouses and companions). Cost: $4,500 per photographer, $3,900 per nonphotographer spouse/companion, $400 single supplement includes all meals, lodging, drinking water, transportation within Thailand, guiding, instruction, park fees. It does not include airfare to get to Thailand, drinks other than water, tips and items of a personal nature such as phone calls or laundry. November 10th - Arrive to Bangkok International Airport. Transfer to a nice hotel in downtown Bangkok. 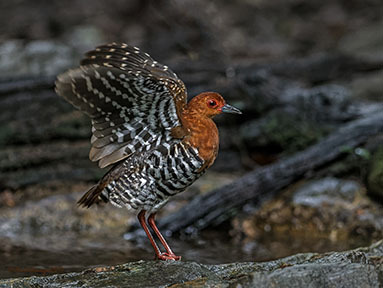 November 14th - Morning shorebird photography followed by transfer to our lodge near Keang Krachan National Park. The lodge has wetlands and gardens which attract a large variety of birds. There are numerous Pied Hornbills on the property and there are a couple of photography hides as well as feeders. Lodge: The premier birding lodge in Thailand, it's very comfortable and well run. November 15th to 19th - Based out of our lodge we will spend each of these 5 days either in Keang Krachan National Park or photographing from hides which are near the park. White-handed Gibbons are one of the highlights of the park, while the hides attract a huge variety of birds including Kalij Pheasant, Red Junglefowl, Green Mapgie, Crakes, Laughingthrushes, Flycatchers and many others. In addition they attract quite a few small mammals including Lesser Mouse Deer and several species of squirrel. Lodge: The premier birding lodge in Thailand, it's very comfortable and well run. 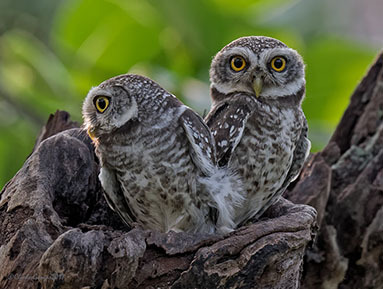 November 20th - We check out of BaanMaka and head to a local reserve that is excellent for a couple of species of diurnal owls. In the afternoon we check into our next hotel and head to Kuiburi National Park. Here we will have an afternoon safari in an open vehicle. 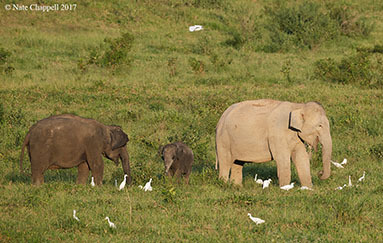 We have an excellent chance of photographing Asian Elephants and a reasonable chance at other scare mammals such as Gaur. 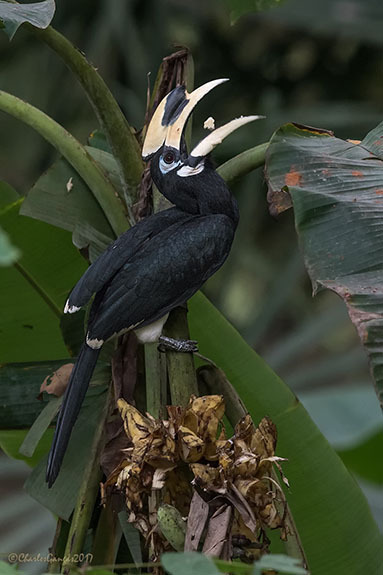 The open woodland is good for raptors and hornbills. Hotel: A nice hotel in the area. November 21st - This morning we will visit a local reserve that is excellent for Bee eaters, Rollers and other open country birds. In the afternoon we will have another elephant safari at Kuiburi National Park. Hotel: A nice hotel in the area. November 23rd - Fly home with great images and memories.